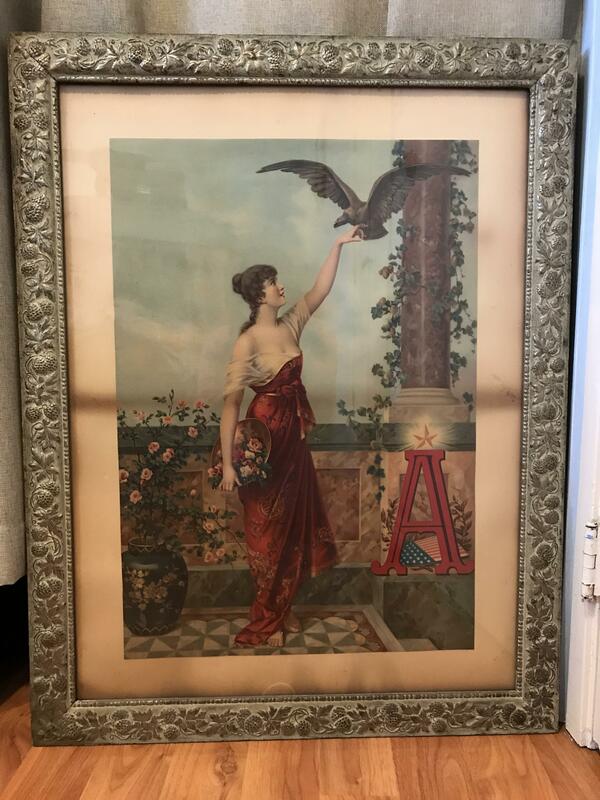 This is a 1899 Anhueser Busch Poster with original frame. Seen in the Poster is the Anheuser Busch girl, a star and an eagle. 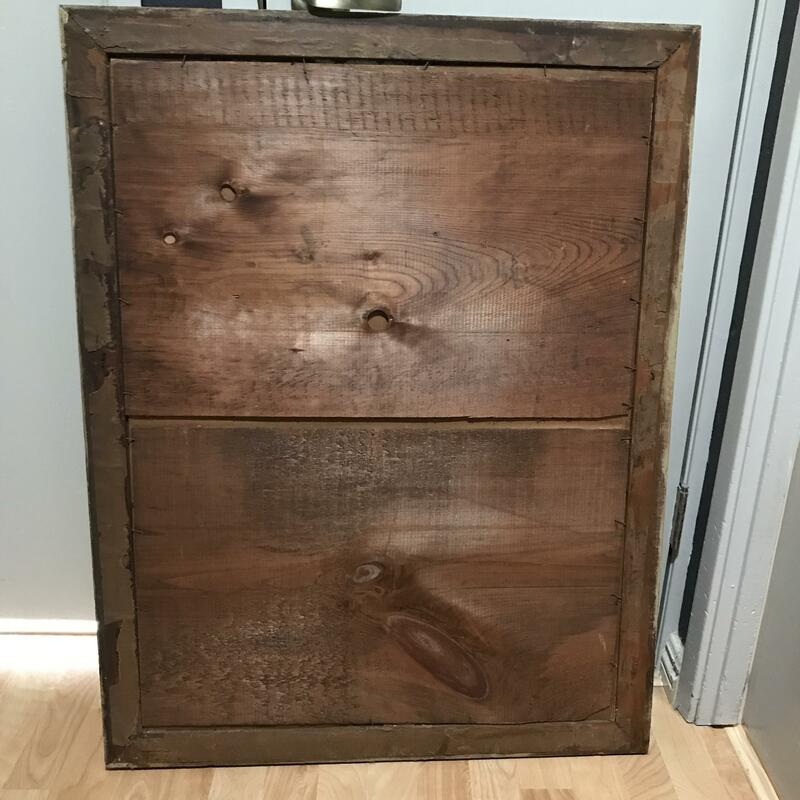 The back of the frame is wood and is split in the middle. Air has seeped in and affected the poster in the center and the edges. A similar poster and frame, though in perfect condition, was valued at $5000-7000 on the Antiques Roadshow in Season 19, episode 25. The item measures 36”x 27”. Values for items like this are highly variable, determined mainly at specialist Auctions of Advertising Memorabilia. According to all the records for auction sales of this type values are still on an upward trend and I would have to agree with the Roadshow value, even with the condition this piece is in.